Voting is now open for the Jamaican Houses of Parliament People’s Choice Award! 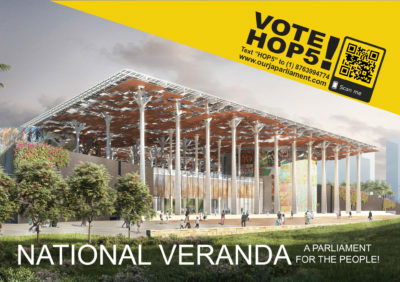 Vote HOP5 to make our team’s “National Veranda” the People’s Choice. You can also text “HOP5” to (1)8763994774.